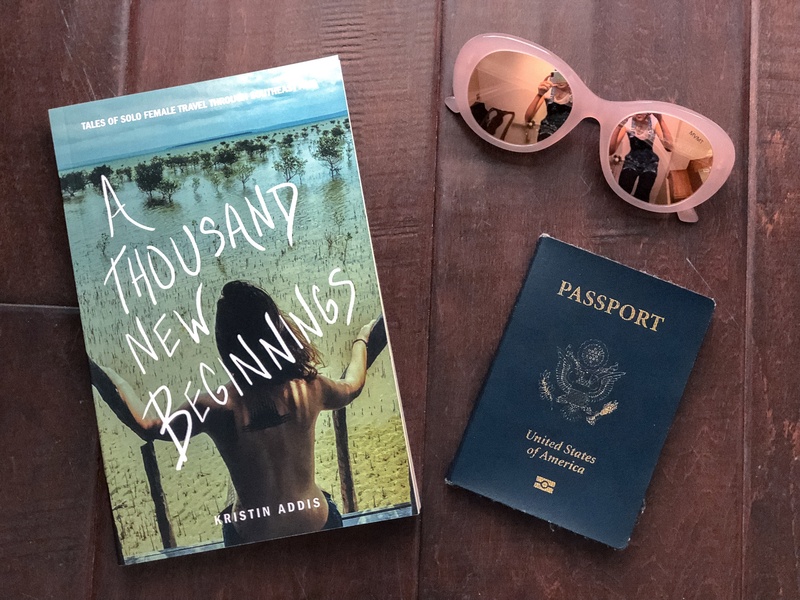 Learn how to travel on your own with ease and bravery, learn how to become a master photographer, taking your own photos and becoming an online powerhouse, or read the memoir of a girl who traveled solo as you embark on your own journey. These books and courses are written and taught by me, with everything I know about creating, marketing, and traveling the world solo. What will you find here that could change your life? What if you could improve the way you capture and keep your travel memories? Imagine if your art truly reflected your uniqueness. This step by step system is designed to help you get there with ease and ENJOYMENT! This course will take you to the next level from wherever you are now. Whether you're just beginning or already know a thing or two about photography, this course can help you grow. Get direct access to me for feedback, learn how to shoot yourself in beautiful surroundings, the dazzling night sky, and so much more. 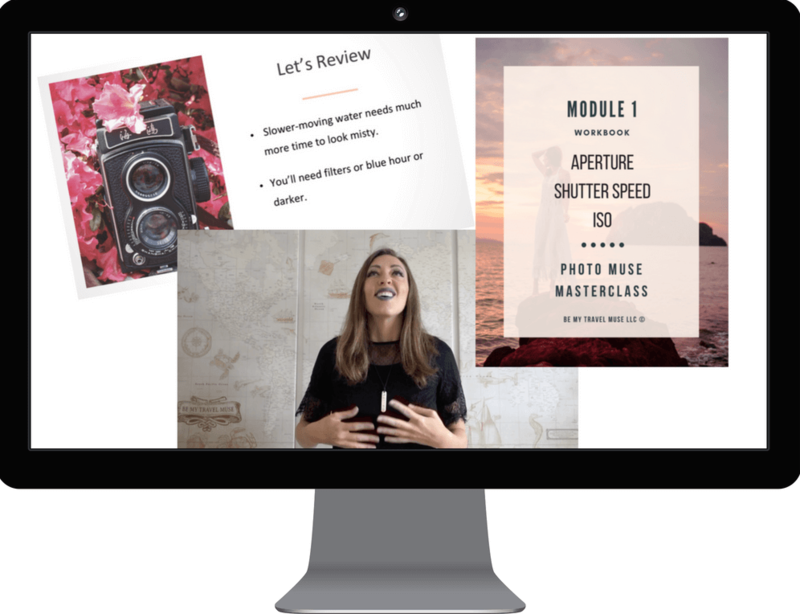 This course has everything I know about photography and if you're into it, using it as a marketing medium to grow a brand. Do you dream of far off places and adventures? Have you been planning the trip of a lifetime but fear the unknown, especially of traveling solo? Do you worry about staying safe, being lonely and affording it? I totally get you. Six years ago, that girl worrying about traveling alone was me. 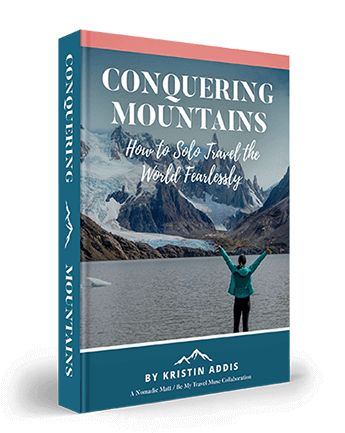 Since then I've traveled solo on six out of seven continents and now I'm sharing everything I know about traveling solo in this tell-all guide book. This is THE time and sanity-saving resource I wish existed before I started traveling. Inside is absolutely everything I know about solo travel, plus insight from all of the solo female travelers who had helped me along the way with their solid advice and tips. Deal with naysayers and get over the fear of solo travel. Stay safe and connected, meet others, and have a blast! I wrote this book when I was 26 years old, fresh out of a new job and relationship, leaving behind the world I knew in order to travel through Southeast Asia completely on my own. Over the course of the next year and thousands of miles, hundreds of new beginnings and new friendships, I found that more than traveling the world outside, I traveled the world within. This book is a collection of excerpts from my diary and blog during that time which took me on hundreds of adventures, meeting countless new friends, falling in love and out of it again, and finding my way while getting intentionally lost. If you're looking for a read to inspire your wanderlust, this is the perfect travel companion. With a 4.5/5 star rating on Amazon, readers love this one!